Confession: Since leaving my full time job I've realized how much I miss having an actual desk that doesn't also double as a dinner table or homework space. 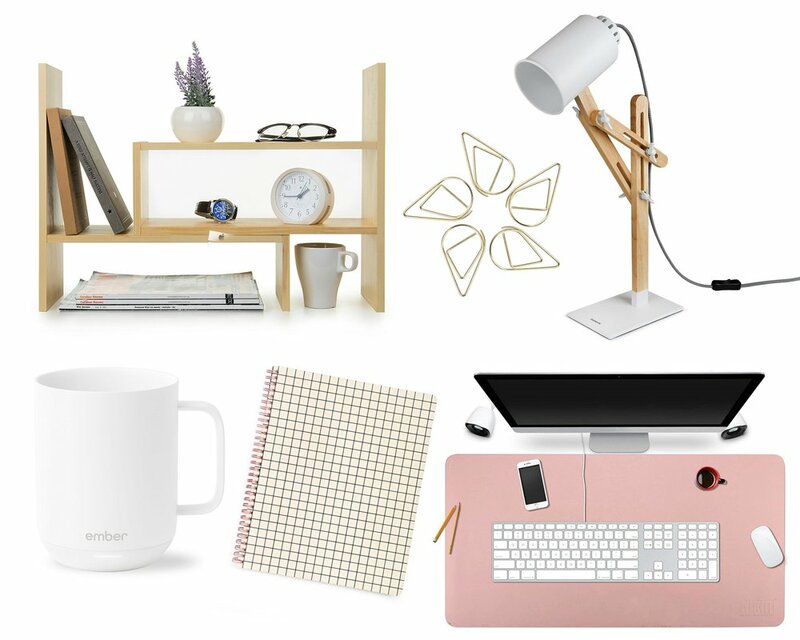 My cozy bungalow doesn't currently have space for a home office BUT when I do get that office these are a few of the things on my wish list. Cute Paper Clips because obviously. I imagine that I will put them in a cute dish or container where they will live forever because I will have deemed them too cute to use. Shelf Organizer Thing because its gorgeous and because I can fit more knick-knacks on my desk which is really half of the fun. Ban.do Notebook because making notes should be cute. And I love all things bando. Ember Temperature Control Mug because I can NEVER finish a cup of coffee before it gets cold. I wish I could just pin this on "being a mom" but even when my kids aren't around I have to warm up at least once. So this is basically a life necessity. Pink Desk Pad to add a little color to my imaginary desk. And when the day comes that I finally get that home office- you'll be the first to know.